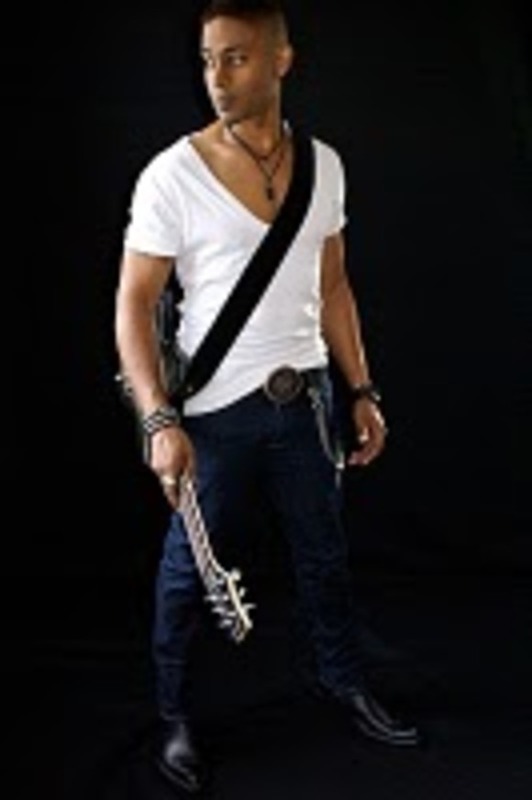 Renowned guitarist, vocalist, songwriter and producer, Aaron Mclain will rock the lead guitar for Beto Cuevas, opening for international superstars Sting, Enrique Iglesias and Nelly Furtado throughout Summer, 2010. Utilizing the DigiTech TimeBender Pedal, Mclain will bring a performance, worthy of an album sound, to thousands of screaming fans across the nation. The TimeBender allows users to input the tempo of their delays, and patterns to be strummed and set to the repeats based on the desired rhythm. The pedal produces intelligent harmonies on the repeats and offers 10 delay types. The TimeBender also offers two tape delays, full-time modulation and a 20-second looper. "The fans have heard the album; they've memorized every single note and expect to hear quality from the band," said Mclain. "With the TimeBender, I can give the fans the album-quality sound they anticipate, but I can also feel confident when I decide to change it up a little. The live mixes I can put together on stage make each show a unique experience." A native of Los Angeles, CA, Mclain has performed alongside a vast list of entertainers, in numerous musical television specials, music videos and live performances, for commercials and with his own band the Aaron Mclain Project. He has also backed up Marc Anthony for the past 10 years. "The TimeBender is definitely a user-friendly pedal," continued Mclain. "It's high quality allows it to be featured in concerts such as Marc Anthony's, but the price and ease of use makes it perfect for anyone from the beginner to the most advanced." "The TimeBender is bringing down the house every show we play."